Tattoo Styles - View the many different forms of Tattoo styles. Multiple Artists in each location, so feel free to view their portfolios. 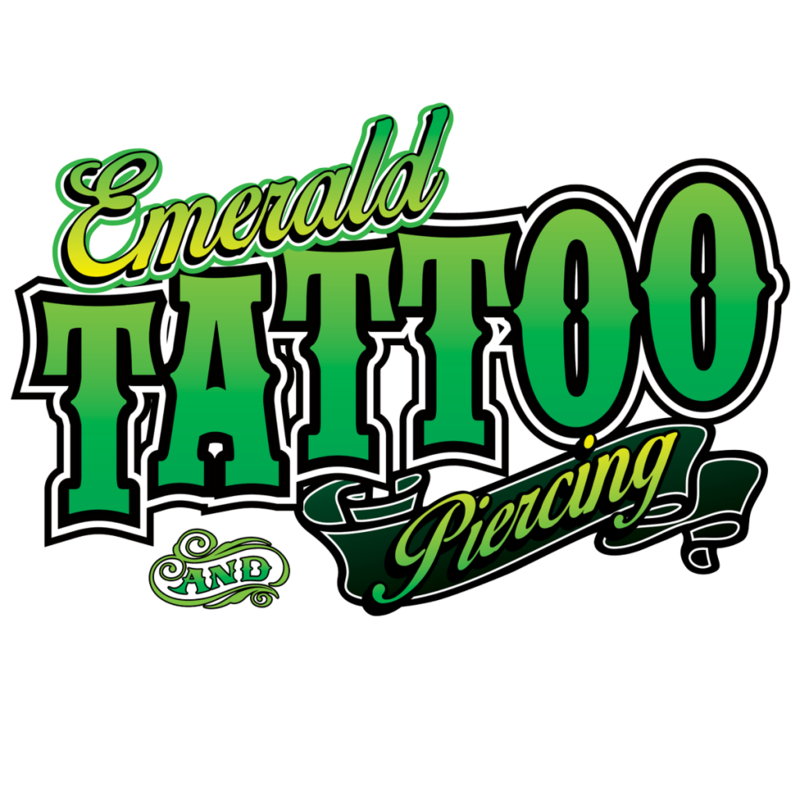 Traditional, also referred to as American Traditional or old school, is one of the oldest forms of tattooing. Known for it’s solid black outlines and classic patriotic imagery, Traditional tattoos have stood the test of time. Realism tattoos look exactly like a photograph on the skin. It’s important to have a good picture for reference, and to find a skilled artist. A tattoo of someone’s face, be it a family member, character, or celebrity. This style is currently very popular. It’s meant to mimic an experimental artistic process of using splashes and streaks of color to give an impression of paint on a canvas. Bubble like designs with bright colors, exaggerated dimensions and features. This cartoonish design is popular with pop-culture icons and animals. Similar to traditional style tattoos, neo-traditional uses bold outlines and shading. However it differs by using more detail, experimental colors and blending, and is often brighter and more dimensional. Detailed and intricate designs made of shapes that use symmetry and repetition to create a design. 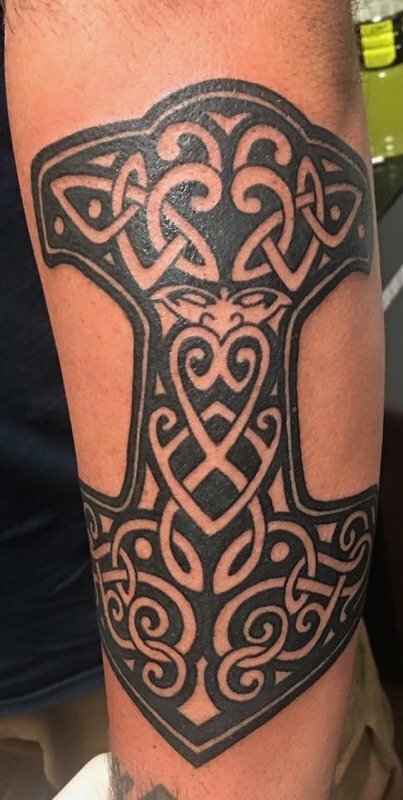 This style is often incorporated into neo-traditional tattoos. These designs are made up of intricate knots. Celtic comes in many forms, such as knots, crosses, spirals, trinity knots, tree of life, and animals. This style represents the people from Gaelic Welsh, and Breton folklore. This modern style of art usually doesn’t have a type of outline. It breaks away from traditional representation of animals, people, and the world around us. Tribal is the oldest style of tattooing. It’s usually done in black using symmetry and geometrical design. A good artist will design something to compliment the shape of the body. This style of tattooing dates back to 10,000BCE, and is one of the most sacred tattoo arts. These detailed designs cover large areas of the body, and follows a strict set of artistic rules. Usual imagery includes cherry blossoms, koi fish, lotus flowers, dragons, war dogs, and geishas. This is a style that uses tiny dots to create intricate designs where you would usually shade or use block color. This style covers everything from Salvador Dali to fantasy monsters and incoherent nightmares. It’s full of symbolic scenes, strange dream-like scenarios, and bizarre creatures. This style of art has a fresh from the drawing board feel, using sketch lines to create your tattoo. Nothing is perfect, and sometimes the lines don’t touch or close. Any font can be used to create a tattoo, but gothic lettering has always been popular in tattoos. An artist can create custom lettering rather than just racing something found on the Internet. Using black and white in varying shades, it’s made by diluting black ink with distilled water in various proportions. This style supposedly originated in prison, where inmates had limited access to different colors of ink. 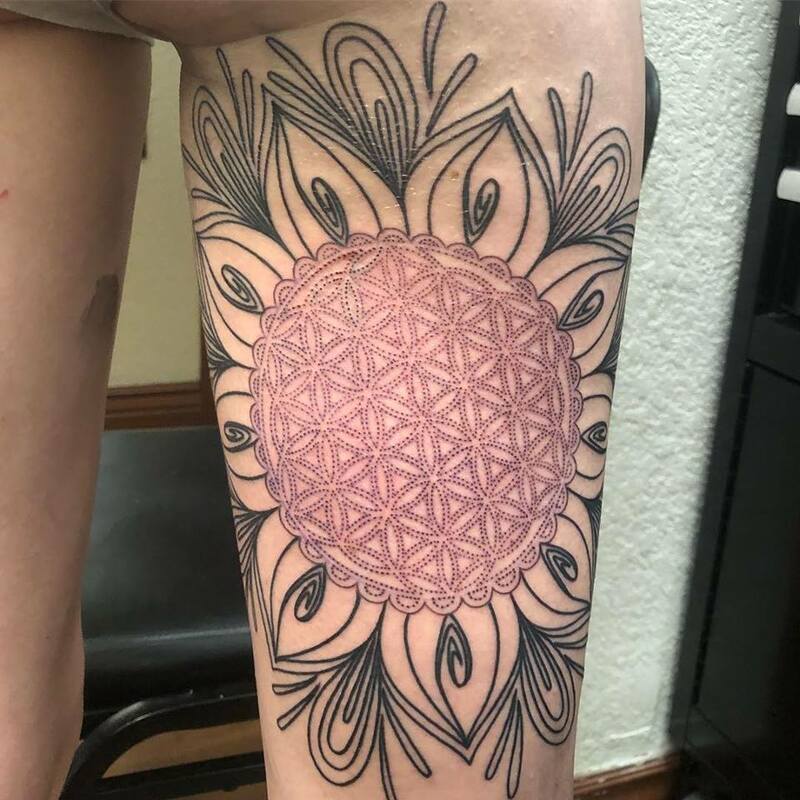 One of the newer styles thanks to improvements made with tattoo machines, inks, and needles. Artists can add more detail and special effects to their work. This style is usually used in portrait tattoos or to achieve a delicate look. This style aims to combine the human body and all of its curves with machinery. For instance, it may look like a flash of metal machinery is peaking out from a torn open arm.